Surrogacy ? or donor egg ? One previous pregnancy in June 2013, first month of trying, ended in early miscarriage at 5.5 weeks. 5 made it to Day 3 (4 top quality, one lower as it has 50% + fragmentation) and we have for the first time ever decided to try to take them to Day 5 and see if I can produce any blastocysts. This brings you up to date as this last cycle is still active - we will know whether they make it to Day 5 by Tuesday. Over laying all of the above I have had various immune work as I have ulcerative colitis, an auto immune disease, and so have been tested for NK cells/cytokines. I have tried : Humira, Prednisolone, Intralipids, LIT treatment and also take clexane and aspirin in addition to the progesterone post transfer. I hope this gives you a lot more information. As you can see, we have few eggs/embryos per cycle but a very high fertilisation rate, with high grade embryos, but still none of them have led to a pregnancy. I am baffled as to whether this is an egg quality issue (I have been told this is probably the case due to my age - but I have been trying since age 39 and am a very fit and healthy person), or if it is a receptivity issue. That's what makes it difficult to decide whether it's donor eggs (we are not keen on this) or surrogacy with my own eggs that we should be exploring or keep going with my own eggs/womb...any advice you can give is very much appreciated as we are desperate to have a family. I am worried about your advanced age. This suggests you have diminished ovarian reserve, and this would explain your early miscarriage; as well as your repeated failed IVF cycles. Being fit or healthy does not translate into having genetically fit eggs . As a woman grows older , her eggs accumulate genetic defects, because she does not produce any new eggs. Do doctors charge too much ? 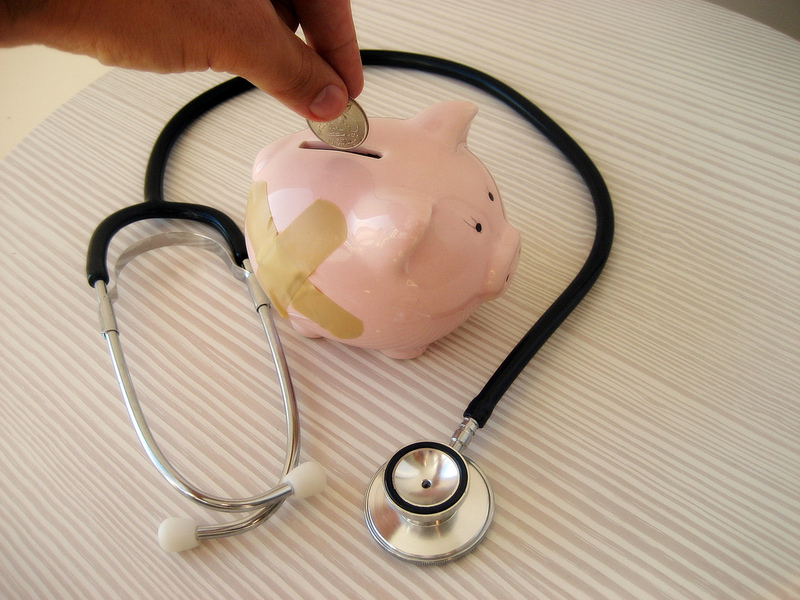 A doctor's income seems to have become an extremely sore issue in this day and age. Lots of people, right from the average citizen to the PM , feel that doctors charge way too much. Their belief is that medicine is supposed to be a noble profession, and doctors should not allow their minds to be contaminated by base commercial considerations . After all, doctors are highly educated professionals, and they should take delight in helping their patients to get better, rather than trying to maximize their income. Lots of people believe that doctors have become too commercial and uncaring, and that their primary focus is on earning more, rather than providing good clinical care. This is why we are now seeing a backlash against doctors. They are getting beaten up by angry patients; the judiciary as well as the media are happy to criticise them; and politicians are happy to pander to the masses by putting a price cap on procedures and medical equipment, so that they can make healthcare more affordable. Doctors, on the other hand, feel very embittered that in spite of sacrificing the best years of their life burning the midnight oil in order to master medicine, they make a fraction of what corporate executives do. It burns them up that hot shot lawyers charge over 10 lakhs for making an appearance in court, irrespective of whether they open their mouth or not. They are knowledge workers, just as lawyers are, and yet people grudge them their fees. They can't understand why society uses such double standards when dealing with doctors. All a lawyer does is win a case, whereas a doctor can actually save your life - and how can anyone measure the worth of a life ? Doctors hare the fact that when a doctor messes up, judges are quick to fine them crores of rupees, but when they perform life saving surgery, patients are reluctant to pay even a few thousand. Where's the justice in this ? The problem is that we can't put a price on saving human life, which is why we expect doctors to be satisfied with compliments and gratitude. While these are great for enhancing a doctor's emotional income, how do they expect a doctor to survive on these ? While an emotional income can be personally satisfying, how can the doctor use this to make a living ? He needs to pay money to buy a house to live in ; and send his children to school. Even if we wants to run a clinic to treat his patients, he still needs to buy the office space , the medical equipment, and pay the electricity bill. The divide between doctors and patients is progressively widening. A doctor feels he gets grossly underpaid . No matter how many hours he may have spent in the middle of the night, struggling to save his patient's life, when the patient gets better, all he gets is gratitude. However, when the patient doesn't do well ( often for no fault of his) he becomes the patsy who is at the receiving end of the patient's ire. This is why doctors feel they are getting an extremely raw deal. There is no correlation between the amount of effort and time which he has invested in his career , and the return which he is now getting. This causes a lot of heartburn, and this is one of the reasons why doctors no longer want their children to become doctors anymore. They feel that all those years of hard work they have put in are never adequately compensated. Now it's not that doctors are greedy - if they were, they would have become bankers - they are intelligent enough to have got into any profession of their choice ! They don't expect to roll in wealth , but they do want to make enough to be able to live comfortably. I think we need to stop grudging them their fees. I agree there are a few greedy doctors, but by being miserly and by underpaying doctors, we're harming everyone in the healthcare system. It's because doctors are not paid well that they to resort to all kinds of underhand means in order to increase their income levels. I think this is one of the problems we are seeing an epidemic of medical corruption today. It would be far healthier if doctors were paid freely and fairly for their professional services, and were given the value and the respect which they deserve. Unfortunately, in India , we don't seem to value advice. 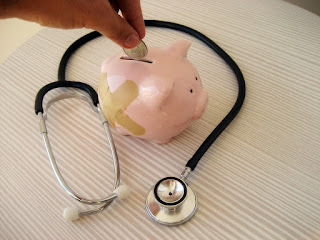 Thus, while patients are willing to pay surgeons a fat fee for doing an operation, they are not willing to pay family physicians for the advice they give , even though the advice may be far more valuable because it helps to save them from unnecessary surgery. Underpaying doctors just increases medical corruption because doctors can't live on love and fresh air. Doctors take pride in mastering the scientific minutiae of medicine . 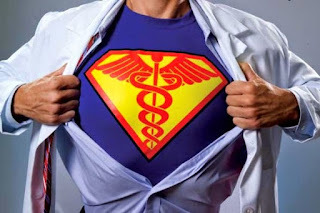 On the top of the medical hierarchy are the super specialists - the ones who have a lot of technical expertise in a very narrow slice of medicine. They're usually looked up to by other doctors because they're the doctor's doctors. They know practically everything there is to know about their personal area of interest, and because they attract a lot of referrals, their depth of knowledge in their domain is enormous. However, all this super specialization comes with a price. Because they are so focused on the little segment of medicine which is of special interest to them, they sometimes fail to see the big picture. This is something which makes a lot of their patients extremely unhappy because they feel that these specialists have lost the human touch. Doctors need to remember that while it's great to specialize - to be an interventional cardiologist or a pediatric pulmonologist, they all need to be patientologists as well. They all need to specialize in learning how to take care of their patient's emotional needs. Unfortunately, this key skill is often lacking. It's not as it doctors are not empathetic, it's just that this valuable trait is not emphasized during their training. In fact, residency can be very dehumanising, because the poor junior doctor is often made to work under conditions where he feels he is being treated like an animal. He is often sleep deprived, hungry, stressed, and subject to bullying by his seniors. It's high time we brought humanity back into the medical profession, and the first step in this direction is to handle young doctors more kindly, so that in turn, they also learn to treat their patients with tender loving care! The recent move by the Modi government to make prescribing of generics compulsory has raised a lot of hackles. The objections have been pretty predictable. 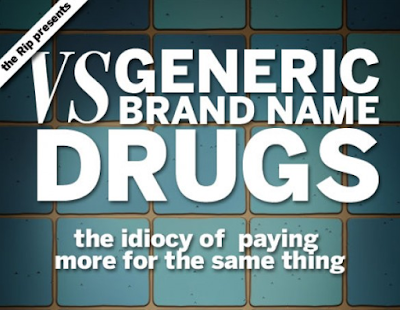 Obviously, the pharma companies are up in arms because they make most of their money from selling branded drugs. If this option is taken away from them, they're going to have to look for alternative means of generating revenue, and having to change a highly profitable business model is not easy for large corporates. Once the law gets teeth, it will no longer be business as usual, which is why they're upset. They are worried that their business will get commoditised and their margins will shrink. Since pharma CEOs are powerful , lots of observers are understandably cynical about the prospects of these new rules being implemented . Their belief is that they will be diluted so much that they will remain a toothless tiger. Since the pharma companies guys can't complain directly that they are upset because this is going to eat into their profits, they are using doctors as their puppets. Doctors are upset with this move because they see this as an encroachment on their professional autonomy. They've been writing brand names for many years, and they don't see what they need to change an engrained habit. Yes, brand names are easier to remember, but the truth is that many of them get incentivized to prescribe a particular brand. They are obviously reluctant to say goodbye to this easy money. Also, they are worried that the locus of power has now shifted to the chemist, who will end up deciding which generic to dispense. The general perception today seems to be that brands are of higher quality than generics. This is not true, since the active molecule in the drug remains the same - it's only the label which is slapped on it which changes. Yes, the government needs to make sure that the drugs are manufactured in a quality factory , and this is true for all drugs , whether or not they are generic or branded ! If you have a poor quality manufacturer, then whether he's marketing a generic molecule or a branded drug, its quality will remain equally poor . The FDA will have to become far more proactive , and as long as the medicines meet quality control standards, what the name on the box says makes no different at all to its therapeutic efficacy ! This is why private labels have become so popular in the FMCG industry - consumers are realizing that there is no point in spending extra on branding . This is as true for drugs as it is for FMCG products. All pharmacology textbooks teach students and medical residents to prescribe generics. It's the active molecule which makes the drug effective, and this is what is drilled into the doctor's head during his training. The problem is that once a doctor starts practice, he forgets what his professors taught him, and gets influenced by the friendly medical representative, who is always welcomed because he comes bearing gifts. There are many extraneous factors which come into play when a particular doctor chooses to prescribe a particular brand, but he never talks about this openly , because he's ashamed about the fact that he's not necessarily doing what's in the patients best interest. He needs to justify his actions, and the most convenient excuse is that brands are better than generics, even though he has no proof that this is true. He needs to salve his guilty conscience by bad-mouthing generics. The healthcare industry needs to get back to basics . Pharma should focus on producing high-quality drugs at a reasonable cost, and stop wasting money on " marketing ". Once generics become mainstream, they will no longer need to employ an army of medical representatives to cajole and induce doctors to prescribe their brand - most of which are just "me-too" variants. This will help to reduce their marketing spends, because companies will not have to waste money on competing with other pharma companies for which particular brand the doctor chooses to prescribe. This is a step in the right direction , and we should all be pleased , because it'll make quality drugs more easily available to patients at an affordable cost. As with anything else, any time you change the status quo, some people are going to get upset, but over time this move will help to make sure that medicine is practiced more rationally and ethically in this country. Pharmaceutical companies will now focus on improving the quality in their manufacturing plants, rather than wasting money on branding and marketing. Also, since they will no longer have to spend on cajoling doctors to prescribe their brands, they will be able to deploy this towards educating patients, so that patients are better informed about what medicines they are taking, and why. Service industries such as hotels use customer relationship management ( CRM ) systems extensively in order to track the personal preferences of their clients , so they can provide them with high-quality services, tailored to their individual tastes . Guest Experience Management Systems allow them to delight their customers, allowing them to create guest loyalty. In order to do this efficiently, they need to capture a lot of data about their customers, so they can learn more about their customer's needs and wants. This is true even for websites like Amazon, who collect a lot of data about the past purchases of their customers, so they can customize what they display to each individual. Why can't we apply these same lessons to medicine ? After all, patients are the healthcare industry's customers, and the more we know about our patients, the better the services we're going to be able to provide for them. Isn't it logical that we should have all this information about our patients at our fingertips whenever we do a consultation? Ideally, whenever a patient signs up for an appointment, the EMR should be able to scrape online publicly-accessible databases and provide a summary about what her likes and dislikes are, so that the doctor is better prepared for the visit . Not only will the doctor be armed with the medical details about her illness, but will also have a better idea about what kind of individual she is, and what her personality is. 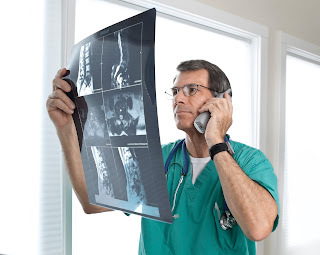 Today, a good nurse or clinical assistant provides this information to the doctor just prior to the consultation , and this helps the doctor to create a personal connection with the patient. Over time, as we establish a relationship with our patient, we are able to understand our patients as unique individuals, and this allows us to create trust. Patients are comfortable with their doctor because they feel that he knows and understand them. Why should it take multiple visits to create this bond? We need to use technology intelligently to help doctors to connect better with their patients , by helping them to understand their personal desires, wants and needs. This can help to strengthen the doctor-patient relationship, because the doctor will be able to see his patients as more than just someone who has a medical problem which needs treatment - he will see them as a fellow-human. Wouldn't you be delighted if your doctor asked you about how your son was doing in school, because his EMR informed him that you had recently posted a photo of him winning the Math Olympiad on your Facebook page ? Doctors today are often seen as impersonal and uncaring. 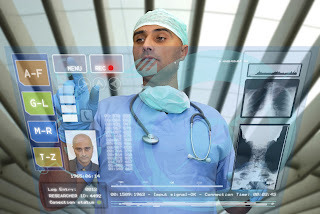 Additional personal details about the patient will make the doctor-patient interaction much richer, because it will help the doctor to connect better with the patient. It will encourage small talk and this kind of social lubrication can reduce the barriers which impede doctor-patient communication. Most patients want to try to create a personal connection with their doctor, so that he will be more empathetic - let's help doctors to do this as well. This is what made the family doctor of the past so special - he knew a lot about the family, and was often considered to be a part of it. We can use technology to create this same kind of magic again. Interestingly, this kind of background information can help the doctor to provide better medical care. He can explore whether there is family support available at home; and who the caregiver is, so he can involve them in the treatment plan as well. Perhaps when we ask patients to take an appointment, we should encourage them to fill in some of their personal details in the intake form, so we have a better sense of what their interests are. For example, they could add a link to their Facebook page, and this would help doctors to improve their bedside manner by helping them to break the ice with their patients , since they now have some background information about their patient. As William Osler “The good physician treats the disease; the great physician treats the patient who has the disease.” Technology can help doctors to learn more about their patients ! Is this a good quality embryo ? We routinely show patients their embryos before the transfer, and this can be quite an emotional moment for them. The commonest question they ask is - "Is this a good quality embryo?" Of course, what they really want to know is if that embryo will become a baby, but they do realise that doctors aren't very good at predicting the fate of an embryo once we transfer it. 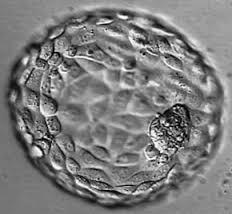 As a scientist , it's easy to explain to what a top quality blastocyst looks like; and that a eight-cell embryo with no fragments on Day 3 is a good quality embryo. However, from the patient's perspective , the only good embryo is one which becomes a baby ! The problem is we just cannot determine with today's technology which embryo will implant successfully and become a baby. IVF technology has limitations , and both patients and doctors need to accept this gracefully. Thus, sometimes great looking embryos on day three will arrest on Day 4 and not form blastocysts on Day 5 in the laboratory. Conversely , we have embryos which look terrible on day three , and yet form good quality blastocysts. The problem is that when we grade an embryo in the IVF lab, we have to depend upon eyeballing it - what does it look like ( the scientific word for which is morphology) . How many cells does it have ? Are these cells equal and regular ? Does it have fragments ? How fast does it divide ? This grading allows us to select better looking embryos as compared to the ones which don't look so good, because we know the ones with better morphology have a higher chance of implanting. However, we still can't predict the fate of an individual embryo as yet. The problem is that implantation is a complex multifactorial biological process, which is affect by many variables which we can't tease apart. This is hardly surprising, given the fact that we are trying to follow the fate of a living ball of cells which we have put back in the uterus. This is not for lack of trying. Thus , scientists have developed additional technological tools such as PGS and CCS, where we biopsy the embryo to check its chromosomal constitution, because we know that aneuploid embryos ( those with chromosomal abnormalities ) have a lower chance of implanting. Similarly, some labs use time-lapse technology in order to get a real-time video of how the embryo develops in vitro. However, while these tools provide additional data, none of them is clinically helpful , because it still doesn't answer the patient's million-dollar question - will this embryo become a baby or not. This can be frustrating not just for patients, but for doctors as well. Thus, we can say, "Okay, this particular embryo looks the best on day five." However , after we transfer it in the uterus, we can't track its fate, so that if doesn't implant , we can't pinpoint why it failed to do so . Did it stop dividing on Day 7 ? Or was the endometrium not receptive ? Having said this, it's still important that you have photographs of your embryos for documentation , so you can judge their quality. Other doctors can also look at your embryo photos and grade their quality. However, you do need to understand that not all good quality embryos will become a baby. Conversely, just because an embryo is of poor quality doesn't mean that it won't become a baby - and if it does, these babies are perfectly healthy and normal. Need help in assessing the quality of your embryo ? Please send me your medical details by filling in the form at www.drmalpani.com/free-second-opinion so that I can guide you ! 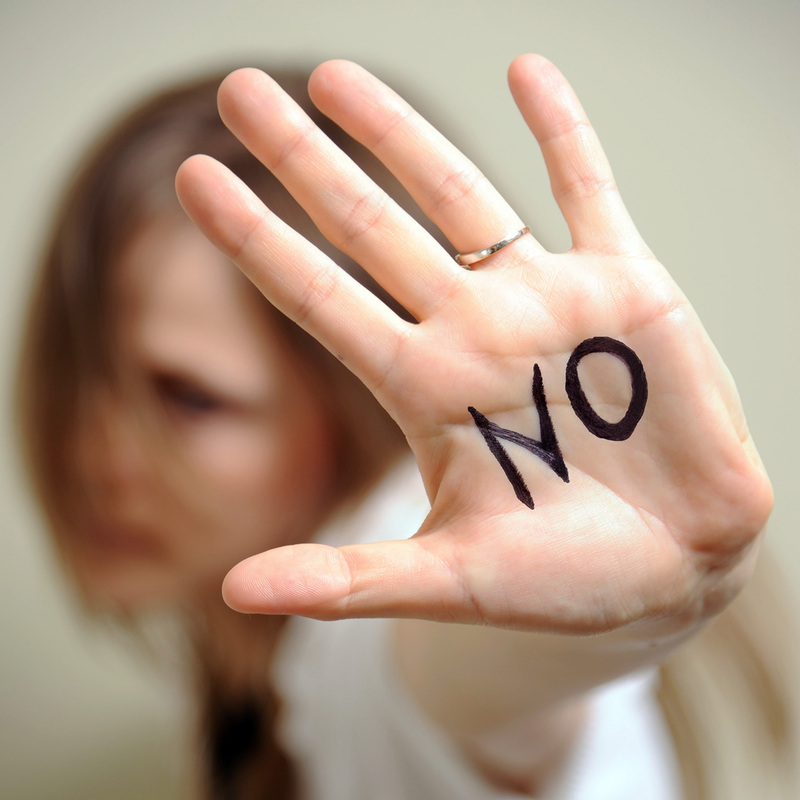 Fed up of being treated by assistants at your IVF clinic ? I received this email from a doctor recently. I'm Dr BG, an orthopedic surgeon. My sperm count is just 1 million per ml. We have had 3 failed ICSI cycles. In the first cycle , 10 eggs were retrieved and 5 embryos formed and day 5 blastocyst transfer of 3 embryos was done. No embryos were frozen Second cycle 18 ova were retrieved, we got 8 embryos and 3 were transferred at blastocyst stage day 5. In all 3 cycles beta HCG was almost Zero. Please guide us about what next can be done? I'm very frustrated about the fact all the work in our cycles was done by the assistants of IVF experts. We felt that we were being treated by the assistants , and the IVF experts were just having an overview of treatment. I'm very concerned about the fact that an IVF expert was not present at all the stages of cycle ; and was never actually involved in the process. Please guide me and my wife about what we should do next. Doctors are usually VIP patients, and get extra care and attention when they seek medical treatment for themselves. Imagine that if this is the way a doctor is being treated , how the other patients must be being mis-managed. Sadly, this is the typical experience of most patients in IVF clinics today. This is why we have made a conscious decision not to employ assistants. We provide all the treatment ourselves. We are very hands-on, and this explains why our success rate is no high. Is your IVF doctor always missing in action ? Are you looking for an IVF expert who will treat you himself ? Please send me your medical details by filling in the form at www.drmalpani.com/free-second-opinion so that I can guide you ! 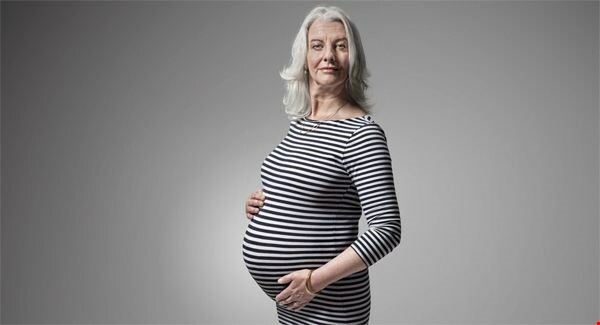 I am 43 - can I get pregnant naturally? Since I provide free second opinion on my website, I get lots of queries from patients. One of the common inquiries I get is from older women who want to know what their chances of getting pregnant are. Now, this is an easy question to ask, but as with a lot of simple questions, it can be extremely difficult to answer. What a doctor needs to answer intelligently is the right context , and for this he needs more information. The answer to whether a particular 43-year-old can get pregnant in her bedroom or not depends on many variables, such as : how long has she been trying to have a baby ; what the results of her fertility tests are; whether she's taken treatment before; and whether her cycles are regular or not. This is why my usual response to this question is: I need more information ! I can answer intelligently only if I have more data, for which the patient needs to do some basic fertility tests. Remember that it's never the calendar age of the woman which matters - it's the age of her ovaries. We know that as a woman gets older, her eggs start getting older, which is why her fertility drops, but there is no simple correlation between age and declining ovarian reserve , because every woman is different. The problem is that individual women aren't interested in generalised statistics - they don't care about what happens to the other hundred 43-year-old woman who ask me the same question. They only want to know what's going to happen to them. Our limitation is that doctors aren't fortunetellers , and we really can't predict for the individual patient what her future reproductive outcome is going to be - and this is true, whether she tries in her bedroom , or does IVF. However, we do provide her with intelligent advice, customised to her situation, based on basic information such as what her antral follicle count and AMH levels are. With this information, we can discuss her options with her. 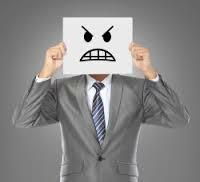 I do not censor information and try to be frank and forthright, but lots of patients aren't very happy with my bluntness . No one wants to hear bad news, but I think it's far better to be prepared so you can intelligently choose the option which works best for you, rather than waste time pursuing futile treatment. False hope can be very cruel ! Why being an IVF specialist is the best job in the world ! Most doctors don't like patients who search for information on the internet . Their experience has been that because there is so much unreliable information on the internet , these patients get lost and confused; and are always trying to second-guess their doctor's advice. This is why they tell them to stay away from doctor Google ; and many doctors get irritated when patients bring a huge sheaf of printouts from dozens of website. Many doctors are convinced that all this online research is a waste of time, because patients don't have the maturity to be able to interpret the information they unearth. 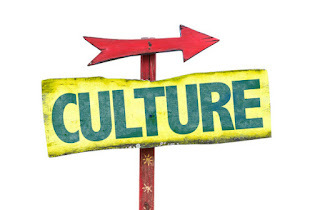 Not only do they lack context , a lot of the information they retrieve is of poor quality and outdated . The standard party line amongst doctors is that patients are worse off by going on the internet . They should instead just trust their doctor to do what's right for them. In a perfect world , patients would be able to trust their doctor blindly, but we all know that this is not going to happen, because doctors have frittered away the trust patients used to repose in them. Also, the internet is always available , and it's perfectly natural that patients are going to use it, so it's quite silly to prohibit them from doing so. When we tell our patients not to go on the internet, we are doing them a disservice, because we are throwing the baby out with the bath water. All we need to do is to help our patients to learn to differentiate good sites from the bad ones . Patients also don't enjoy spending hours digging up medical information when they go online - they'd much rather be watching movies on Netflix if they had a choice ! Patients will often get a headache when they try to do their research on their own, because they get confused when the come across conflicting information n different websites. They aren't sure whom to trust, and they resent the fact that their doctor is not willing to help them to separate the wheat from the chaff. Doctors need to guide patients to go to reliable websites - for example, those from Harvard Medical School; or Johns Hopkins; or the NIH ; or the UK NHS. This way both patients and their doctors confident that the information they will get will be updated, trustworthy and reliable. They should use these sites as the bedrock of their homework , and then build on this if they need more depth. This way they won't waste their time - and their doctors - by going to unreliable sites. Yes, there are lots of unreliable sites online , but why do you need to worry about them if you're going to focus only on the reliable sites , which empower you with trustworthy information? Need reliable information of IVF ? Check out www.ivfindia.com ! I am an IVF specialist , and when our patients get pregnant , they ask us to refer them to an obstetrician. The commonest question is, "Which obstetrician should we go to?" This is completely reasonable - after all , they trust me, and want me to refer them to a good doctor. Now , these obstetricians are my colleagues and friends, but I'm very reluctant to tell them whom to go to. To get good care from the obstetrician during pregnancy, the most important ingredient is the doctor- patient relationship, and the chemistry between the two should be just right. Rather than give them a name, this is the process I tell them to follow. "Just assume for a moment that the technical competence of most gynecologists who have the right professional qualification is comparable . The key is that you need to find a doctor whom you feel is right for you. Make a short-list of at least two doctors . You can do this by doing a google search, or asking your friends for recommendations. You then need to interview both these doctors. Pay for a consultation , and then pick which one you prefer . " Do you like the ambience ? Is it close by ? Is parking easily available ? How communicative is the doctor ? How friendly is the staff ? Do the other patients in the reception area look happy ? How long do they make you wait ? What vibes do you get ? This should give you enough information to be able to pick and choose the one who is right for you." "If you're still not sure , ask both of them this one question. "Why should I come to you as compared to going to doctor X?" Some doctors may take offense at this question , and that in itself is a red flag. After all , this is a perfectly valid question to ask , and patients do deserve an answer. A good doctor will be happy to answer, and the right response is, "Yes, Doctor X is a good doctor , and there are lots of other doctors who will also take good care of you. However, I feel this is what makes us better. " This thoughtful response shows that he is mature; will not bad-mouth other doctors ; and is service oriented and keen to have you as a patient. This is the kind of doctor who you are likely to be happy with. This is exactly the same model you should use when you are looking for the best IVF doctor as well ! IVF patients are often faced with a dilemma when their doctor refuses to listen to their personal preferences, and they don't agree with their doctor's advice Thus, there are older patients with DOR ( diminished ovarian reserve) who want to try IVF with their own eggs, but their doctor discourages them from doing so, by saying that the chances with their own eggs are very poor . The doctors pushes the patient into using donor eggs, saying this would be a far better option, because it has a much higher pregnancy rate. 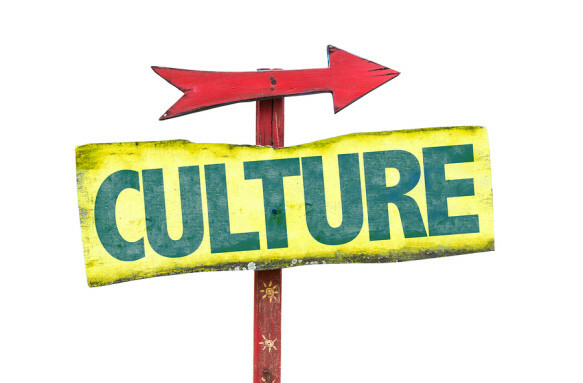 This can create a lot of angst, and sometimes patients aren't sure what to do - whether they should follow their own heart, or obey their doctor. They've been taught (especially in India ) to defer to their doctor's advice - after all, he is the expert in the room , and they're supposed to follow whatever he says. However, this is not a good idea for an elective treatment such as IVF. Because using donor eggs and other third party reproductive options is such a highly charged emotional decision, patients need to be very careful when agreeing with the doctor's suggestions. While it's very easy for the doctor to provide the advice, it's the patient who needs to live with the consequences of that advice. That's why you need to think through some of these decisions very carefully , and discuss what your concerns are with your doctor. He's not a mind-reader, and you need to tell him what your preferred choices are. Now, he may or may not agree with you - after all, he is a professional , and he may not want to provide what he thinks is futile treatment, and that's fine. Nevertheless, it's important to have this discussion. You should feel heard and respected , and you should be able to trust your doctor. You should never get the feeling that he's trying to force a particular treatment option down your throat , simply in order to make more money. You need to have enough confidence that he has your best interests at heart , and is putting your personal preferences first. You need a doctor who's willing to be open-minded and nonjudgmental - someone who's willing to discuss your options with you. You don't want someone who crams his opinion down your throat simply because he happens to be the doctor , and "knows best". This is why mutual respect and trust in an IVF doctor/patient relationship is so important. The fact of the matter is that there are never any right answers. There are always going to be options, and it's impossible to predict what the outcome of any option is going to be for an individual patient. A doctor can provide you with medically accurate information - but this only applies to groups of women, and he is not a fortune teller. For example, if your AMH is low, he can tell you that your chances of getting pregnant with your own eggs is about 5%, whereas, if you use donor eggs , your chances will go up to 50%. However, whether to then still go ahead with the 5% option because you're not comfortable using the donor egg option is a decision which only you can make. You cannot abdicate that responsibility , and you cannot outsource it - you're the one who needs to be comfortable with it, because this is your life. The bottom line is that if you're happy with whatever decisions you make, you will keep your child happy, and everyone else around you happy as well. You need to be selfish and put yourself first when thinking about some of these things, because if you are miserable, you will create unhappiness in the life of those you love as well . This is why you need a doctor who will give you the permission and the freedom to discuss all these options openly with him - and this needs a mature doctor, who is willing to spend enough time with you, so you can explore your options thoroughly, and do what your head and heart tell you is right for you. Looking for an IVF doctor who will respect your wishes ? Please send me your medical details by filling in the form at www.drmalpani.com/free-second-opinion so that I can guide you ! Patients from all over India come to our clinic for IVF treatment. They come from different backgrounds, which is why they have such varied beliefs. Part of it is related to their educational status, which means illiterate patients don't understand the nuances of IVF , and still have lots of misconceptions about "test tube baby" treatment. Many of their views about IVF treatment are strongly related to their religious beliefs. Thus, people who are deeply religious are much more accepting of the outcome of the IVF treatment, and even if it fails , they're much less likely to blame the doctor. They're much more willing to accept that the failure was written in their fate - what they think of as their kismat - and attribute it to their karma , or the will of God. They intuitively accept the limitations of what a doctor can do, and are less demanding and more forgiving . This is why it's much easier for them to counsel these patients if their cycle fails, because they accept the fact that doctors have their own limitations. They understand that humans don't have all the answers, and no matter how hard we try , we can't control human biology. The trouble is that this same trust can be a problem if they end up in a poor quality IVF clinic . These doctors exploit the patients' trust , and take advantage of the fact that they're clueless about the medical technical details of IVF. They conveniently blame the IVF failure to divine will, when in fact it is actually a result of their medical incompetence and poor quality equipment . Thus, instead of acknowledging the fact that the reason for the IVF failure was poor quality embryos because the laboratory wasn't enough , they will attribute the failure to an unkind god. Sadly, patients are often not able to differentiate between doctor who's telling them the truth and one who is not. It is this fatalistic attitude which allows so many poor quality IVF clinics to prey on the ignorance of these gullible villagers. Strongly held religious beliefs also affect which treatments certain couples are willing to accept. Thus, most Muslim patients will refuse to accept donor eggs or donor sperm under any circumstances . This can be a particularly thorny issue when the husband and wife don't see eye to eye . The wife may be willing to use donor eggs , because she's so desperate to have a baby, but when the husband puts his foot down and refuses on religious grounds, this can create a lot of friction. For some highly educated patients , coming to terms with IVF failure can be much harder. They are very used to controlling everything , and have very unrealistic expectations of medical technology. These patients are willing to pay whatever the doctor charges , and naively believe that money can buy IVF success. They expect that doctors should know everything, do everything, and be able to control everything - all they need to do it to pay the medical fees. They cannot understand why perfectly good looking embryos do not implant, and when the cycle fails , they're much more likely to blame the doctor . They attribute the failure to medical incompetence, rather than understand that no matter what a doctor does, we can never be sure what the outcome of an IVF cycle will be . Unfortunately, these patients are not willing to be understanding. No matter how much you counsel them , or how much documentation and information you provide, they're always very suspicious about what is going on. They believe that only US labs are of good quality, and that all Indian doctors are sub-standard. While it's great that they want to be informed and actively involved in their treatment, I think sometimes they just make life much harder for themselves . They are not willing to accept that medical technology has limitations, and they push the doctor into doing even more tests and treatments ( even if these are unproven and untested), in their quest to control the outcome. They expect perfection from their doctor, and when the cycle fails, they vent their anger and disappointment on the doctor. While IVF is usually safe , one of the dreaded complications of IVF treatment is ovarian hyperstimulation syndrome ( OHSS.) If not managed properly, it can lead to hospitalisation in the ICU, and even death. This is why it's so important to prevent it. Step number 1 is to identify patients who are at increased risk for developing OHSS. These are typically patients with PCOD - those with a high AMH level and a high antral follicle count. For these patients, we use the 3-step " antagonist downregulation-agonist trigger-freeze all " protocol to prevent OHSS. This means we have become a Zero OHSS clinic. We superovulate you with gonadotropin injections, such as Gonal F; downregulate you with GnRH antagonists ( such as Ovucet or Cetrorelix) from Day 7 onwards; and then, instead of using HCG as a trigger, we use GnRH agonists ( such as Decapeptyl) to trigger ovulation. Your eggs are collected after 36 hours, and all the embryos are frozen on Day 5 ( blastocysts) . No transfer is done in the fresh IVF cycle; and the frozen blastocysts are then transferred in the next cycle, one at a time. With this protocol, the chances of developing OHSS are virtual zero. This allows us to collect lots of eggs safely, and then transfer the frozen embryos , one at a time after thawing them in subsequent cycles. This offers a lot of safety; and maximises the chances of your having a healthy singleton live birth , which is the holy grail of IVF treatment. This is what the protocol looks like. IVF/ ICSI treatment starts from Day 2 of your cycle. Day 1 = Day of bright red bleeding. If the bleeding starts after 6 pm count the next day as Day 1. Ignore the spotting. On Day 2, we do an ultrasound scan at our clinic to confirm there is no ovarian cyst, and to count the number of antral follicles. We then start your superovulation . Inj Gonal-F ( 75 IU FSH ), 2 amp ( 150 IU ) daily from Day 2. The dose of Gonal-F ( FSH) will depend upon your ovarian morphology and your antral follicle count. From Day 7, we start Inj Cetrorelix/Ovucet/ Orgalutron/ Antagon, 0.25 mg daily . This is a GnRH antagonist. The Gonal-F continues. We do the next scan on Day 7, after which you would have to be in Bombay for about 10 days. Your husband is needed on Day 12-Day 14 ( the day of the egg pickup). All the treatment is performed at our clinic, which means you never have to go elsewhere. Day 2. Vaginal ultrasound scan to confirm there is no ovarian cyst. If there is no cyst, we can commence superovulation. If there is a cyst, we aspirate ( puncture) it and continue with the treatment. The Gonal-F and Cetrolix injections continue until the follicles are mature ( approx Day 12). Then a GnRH agonist ( Triptorelin, Decapeptyl, 0.2 mg sc) injection is given as the trigger , and eggs retrieved 36 hours after this. These are fertilised with your husband's sperm, and all your embryos are frozen on Day 5 ( blastocyst). We provide you photos of these. You can travel back 3 days after the egg collection. You then come back after one month for the transfer of your frozen embryos. Did you develop OHSS in your earlier IVF cycle ? Want to make sure you don't run that risk again ? Please send me your medical details by filling in the form at www.drmalpani.com/free-second-opinion so that I can guide you ! Even though the IVF lab is the heart and soul of the IVF clinic, most IVF patients are clueless about what happens in the IVF lab. Many IVF doctors take advantage of this ignorance, and keep their patients in the dark about their embryos. Dr Sai is the Senior Embryologist at Malpani Infertility Clinic and will be happy to answer your questions, if the embryologist in your IVF clinic is inaccessible. He says - The IVF lab plays an extremely important role in the success of your IVF treatment, and we are very proud of the work we do in helping you to have a baby. When we show our patients their embryos in our lab, this is often a highly emotional moment for them. Here are some of the common questions they ask. I'd like to share my answers. 1) How do you grade embryos ? I just got this email from a patient. Dear Dr Malpani, I have read your article online and am very much interested on any updates on your article or challenge to Clear Passage Therapy . I have seen this Clinic referred to me by Natural Fertility online and so I went to their website and started the application process including the submission of my medical history. I have gone thru 3 failed IVFs (2 fresh (w/ DNA bx of embryo) and 1 FET cycles), 1 natural pregnancy in between 1 IVFs, all miscarried on 5th week, 10th week, 0 pregnancy on my last IVF w/ DNA. I was diagnosed by my Fertility Doctor at Kaiser with Right Blocked Fallopian tube (middle) thru HSG. When I read about how to naturally unblock your FT using the KIT that can be purchased in Natural Fertility website, I immediately looked into it and was about to try to purchase it. Along their email, they also recommended doing the natural massage therapy at CPT. So I looked into it and I got very excited, although I didn't expect it to be that pricey ($6,000 for 5 days), almost like the price of IUI. I thought to myself "Oh well, what else is new, how people take advantage of people in need" - this is the sad reality of life. I am hoping I can unblock my tube naturally and thus have a higher chance of getting pregnant again. Me and my husband have been trying for almost 8 months now naturally using the OVIA kit plus Fertility Acupuncture, still unsuccessful. Then I saw your article, different from the success stories that were on the first few top articles when you do a review of the IVF Clinic search in Google. That's why I'm reaching out to you personally so I don't get ripped off again by Clinics who, as you mentioned, just accept patients, even if they really don't see that it's going to work for them, as long as they can pay. That's how I felt with all my IVF doctors. I didn't feel any bit of concern, empathy from any of the Clinics. To them I am just any other patient (patient #X), didn't really study my case well, didn't really give me best treatment. They are all so nice to you in the beginning and during the process. And when it didn't work, all of a sudden, boom, the doctor didn't seem to like remember you or just acts so indifferent. So, going back to the reason of this email, has Clear Passage Therapy Clinic reached out to you and acted upon your challenge? Is it ok if I get any updates on this and I would thank you so much for helping me decide what's best for me and my husband in our continuous journey of trying to build a family. God bless and I sincerely hope to hear from you. Does your doctor refuse to answer your questions after your IVF cycle has failed ? Please send me your medical details by filling in the form at www.drmalpani.com/free-second-opinion so that I can guide you ! We are from Bangalore and had been trying to conceive from past 10+ years without any success. We had seen multiple doctors here and tried stimulated cycles, couple of IUIs and one round of IVF at highly reputed clinics here. We even tried alternative medicines like homeopathy, ayurveda etc.. In these past 10+ years, I conceived naturally 4 times but miscarried before 9 weeks. When we decided to do IVF at the end of 2012, I contacted Dr. Malpani for second opinion and his feedback gave me a lot of confidence to go ahead with IVF with a local clinic, but it was not a success. The tremendous stress I went through this IVF made me take a break from all sort of treatments. So we leaned towards alternative medicines because I was able to ovulate and produce embryos in previous IVF. At the end of 2015, I pulled all my courage again and decided to do another round of IVF, but this time only at Malpani Clinic in Mumbai. My husband also agreed on the same. I immediately contacted Dr. Malpani by mail and got response within 12 hours. Amazing !!! He asked me to do couple of blood tests and SA for my husband. With these test results, we already had our treatment plan prepared by the doctor from day #1 of the cycle. But we wanted to meet him in person, so we met him in first half of 2016. Our first experience at the clinic was awesome and we both immediately felt that we made a right decision and we are in right hands. In our first appointment, doctor explained the success rate of each IVF cycle and no false promises were made. Based on my age (late 30s), low AMH value and history of recurrent miscarriages, success rate would be maximum 5% with my own eggs per cycle; and if we opted for donor eggs, it will be 40% – 50%. This was a rude shock for us, and we told the doctor that both of us need some time to make a decision . We returned home. After applying a lot of logical, rational thinking, we decided to go with the donor eggs option. My husband’s genes will be carried and I will be carrying the baby for 9 months. The comparison was with surrogacy and adoption and we felt this was a far better option. Past experiences has taught us lot of lessons like time is so precious , so go for the best available. We informed doctor about our decision and very quickly our donor had been identified. It was decided to go for the donor egg cycle in mid-2016. Dr. Sai (Embryologist) showed us the beautiful embryos before we headed towards the transfer. It was a very touching moment to see those embryos thanks to SCIENCE. 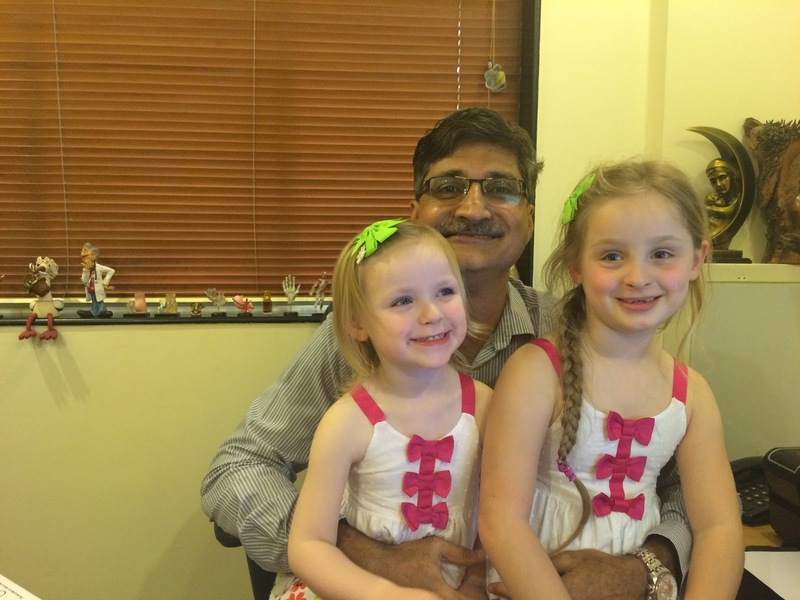 Two day#5 grade A embryos were transferred by Dr. Malpani in the presence of my husband. Here I should praise Dr. Malpani and their entire staff’s manners and commitment to their work. They made me so comfortable in OT for embryo transfer and all the time doctor was checking on me whether I was comfortable or not. That kind of human touch and empathy with patients makes for a GREAT doctor. Before transferring the embryos, doctor asked us to pray to our GOD. Post transfer his instructions are simple: lead a normal life, we have done our job and let nature take care of the rest. We returned home with lots of hopes after 3 days of transfer. That cycle didn’t work out. We took break for a couple of months before our first frozen embryo transfer cycle. This cycle went smoothly and again two top quality blastocysts were transferred. I was in the clinic only for 3 hours during the entire cycle. To the dot, the treatment plan was shared and executed by doctor so well. After 12 days of transfer, I did beta HCG and the value was close to 2000. The value doubled and then quadrupled in consecutive tests. At 6w2d, we went for our first scan and found two beautiful heartbeats. Yes...both the embryos are implanted and today I am 12weeks pregnant with TWINS!!! Till date, I e-mail the doctor with all my silly questions and he answers all of them. Whatever my local gynec says I want approval from Dr. Malpani. Experience and trust matters a lot !!! I'd love to say a lot more about Dr. Aniruddha and Anjali Malpani and their clinic, but whatever I say will not be enough to express our gratitude. They are really a blessing to the infertile couples to fulfill their dreams of having a baby. We are so thankful to Dr. Aniruddha Malpani, Dr. Sai ( embryologist and the CREATOR), our donor (whoever she is GOD BLESS HER and her family) and entire staff at Malpani clinic.